Due to the rising crime rates many of our clients choose to upgrade their home security. But home security is a very wide term and each and every one of us can mean different things by it, for some it's lock replacement for all house locks, for others it's CCTV. Can I make my home safer with a fairly small budget? The answer is YES. Our security consultants usually start the consultation with the budget question, and always manage to find a suitable solution. Locksmith London usually start with a simple security locks check. Our experts inspect your front and back door locks, your window locks and your garage door. Special attention is given to the quality of the locks and their condition. During basic security upgrade the technician will offer you a lock replacement in case your security locks are of poor quality. If your locks are perfectly fine and working you can add some extra security to your home or office by putting in an alarm system, however a good alarm system doesn't come cheap. If you are a business owner and you suspect one of your ex employees might be stealing from you using a spare key he made, changing the locks will be the right thing to do, and you better do it as fast as you can. 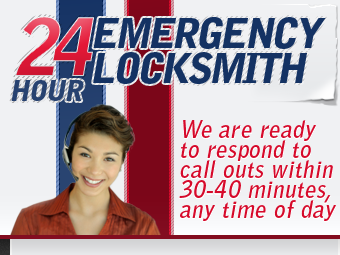 We offer 24 hour locksmith services so just call us and we will be happy to assist you. We understand that when you move to a new home or apartment you are too busy with the unpacking, and you forget about the security of your new home. Lock replacement should be the first thing on your "to do" list then you move to a new property. You never know who may have made copies of the keys you just got. Changing locks doesn't cost the earth and takes about an hour, so call Emergency Locksmiths London today!